November 2015 - Bernardo Cortese M.D. @NEJM Ask the Authors & Experts: Everolimus-eluting Bioresorbable Scaffolds for Coronary Artery Disease & Bioresorbable Vascular Scaffolds–Will Promise Become Reality? Hello, today the New England Journal of Medicine Group Open Forum will begin. 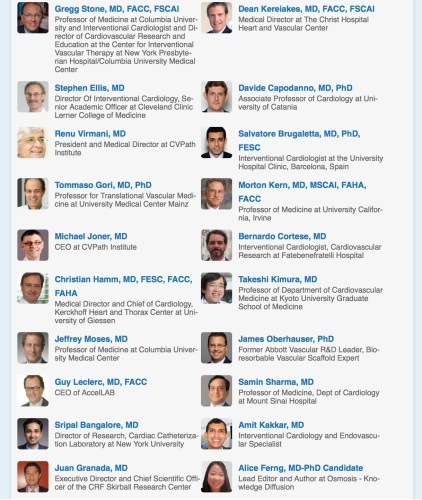 I have been invited to participate as an expert on Absorb BVS among a very high level panel (please see below). I suggest you to click the link and follow this very important way to disseminate knowledge.